Earn $13.99 in Rewards credit. Click to learn more. 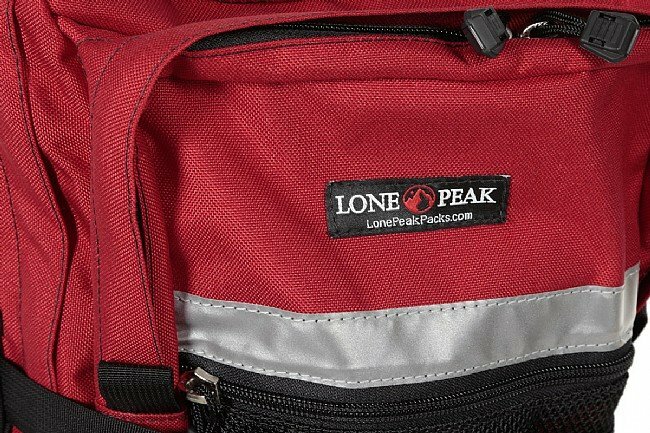 Lone Peak has been in the bike touring game since 1979, and that's exactly the kind of experience you want when making sure you're set up right for your next long trip out on the road. 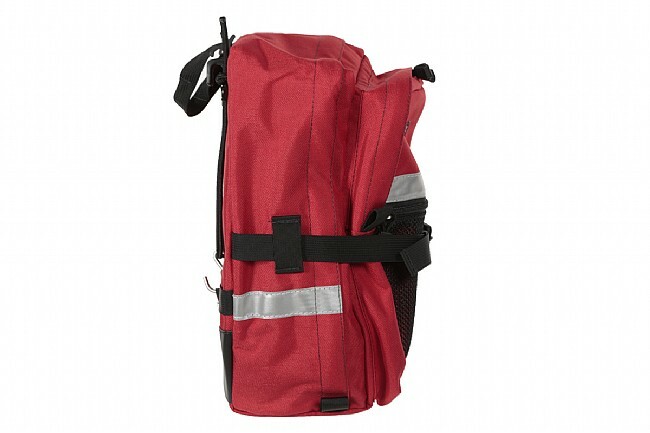 Their Millcreek Pannier Set is one of their most versatile options, perfect for a front or rear rack with the capacity to carry a standard size grocery bag in each one. Construction is done right here in the USA from super-durable, water-resistant 1000 denier nylon to handle a lifetime of remote, long-distance, cycling excursions. 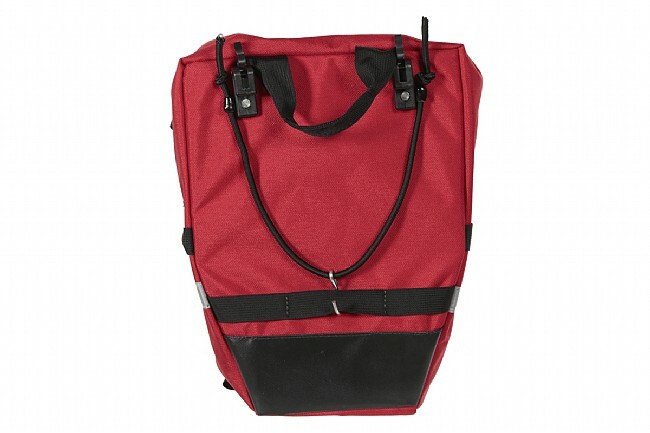 The results of decades of dedication to making life easier for cyclists on the road can be seen in the small but significant details like a large main compartment that zips down to the base so it can be completely folded open for easy access to gear at the bottom of the pannier, and another half-zippered pocket that provides more options for organization. On the front, an exterior mesh pocket allows you to keep your wet and dirty items separate from dry goods inside, and a horizontal cinch strap allows you to compress your load for more stability. 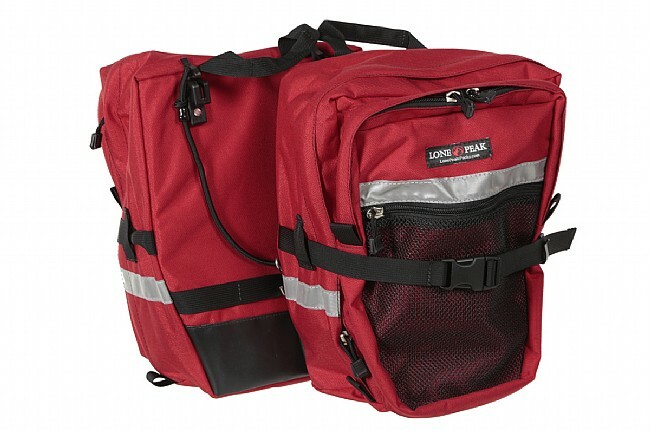 Lone Peak's Loc On pannier suspension system includes two heavy-duty 10 mm diameter rack clamps and a bungee stabilizer for secure attachment, and when off the bike, a top strap makes the Millcreek panniers easy to carry by hand. Available in multiple colors. Sold per pair. Features reflective accents on the outer faces for increased visibility. 2000 cubic inch storage capacity. Dimensions are 10" length x 8" depth x 13" height. Claimed weight is 1 lb 4 oz per pannier. Lifetime warranty.